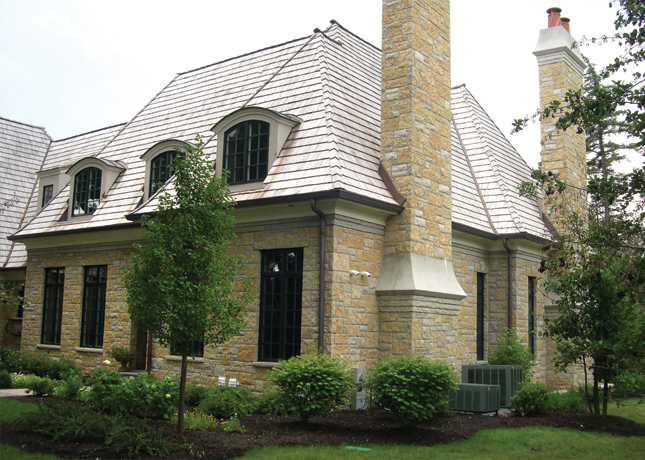 A beautiful custom home built in West Lake Forest, IL. 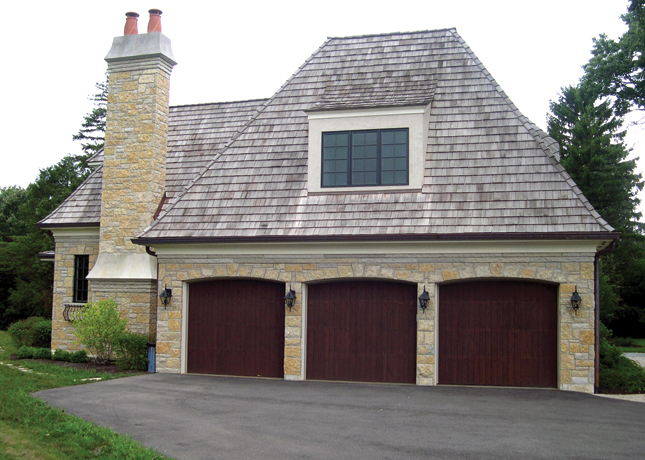 This home has a stone exterior, black windows and a cedar shake roof. 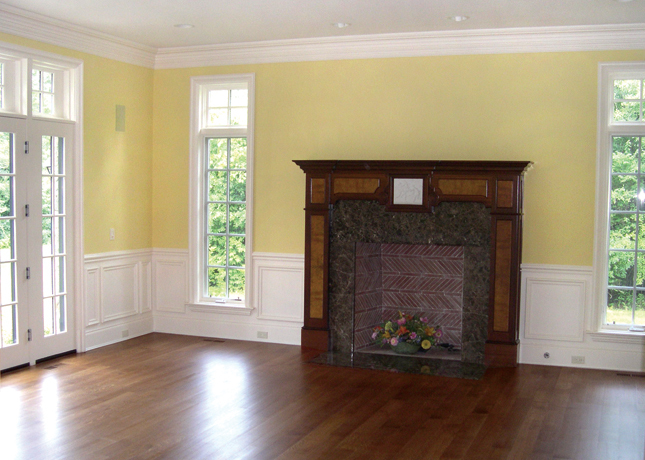 This custom home has 5 fireplaces. 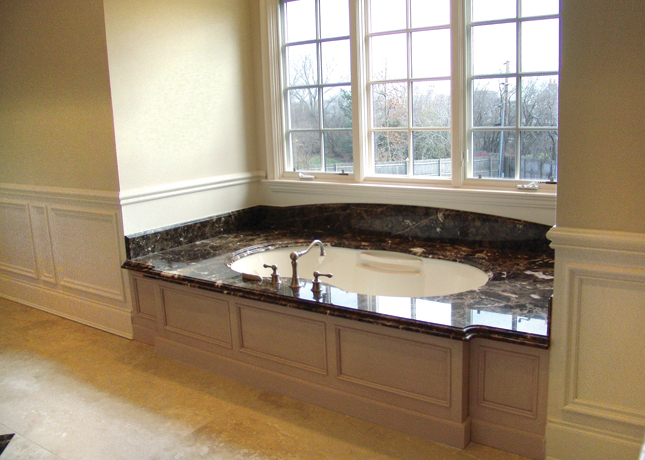 The kitchen features custom cabinetry and an island with a prep sink. 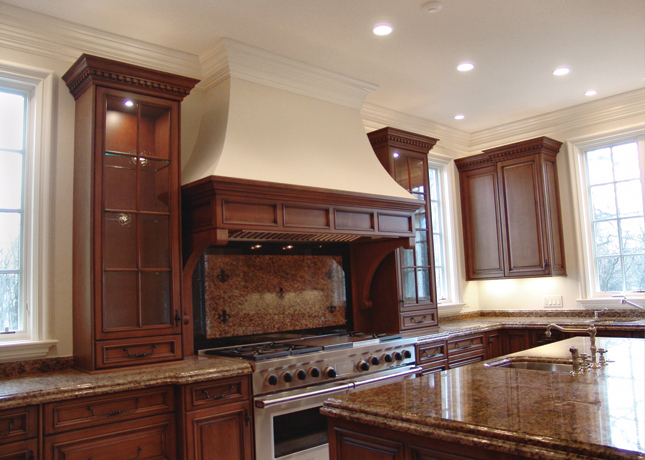 A custom hood accents the large stainless range and ovens. 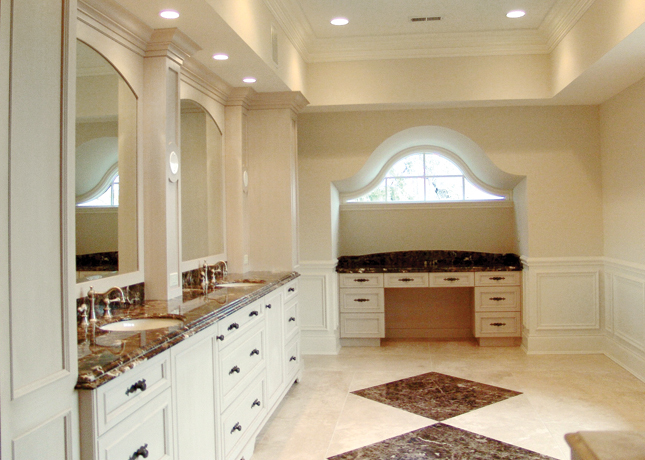 Lighted glass cabinets flank the hood. 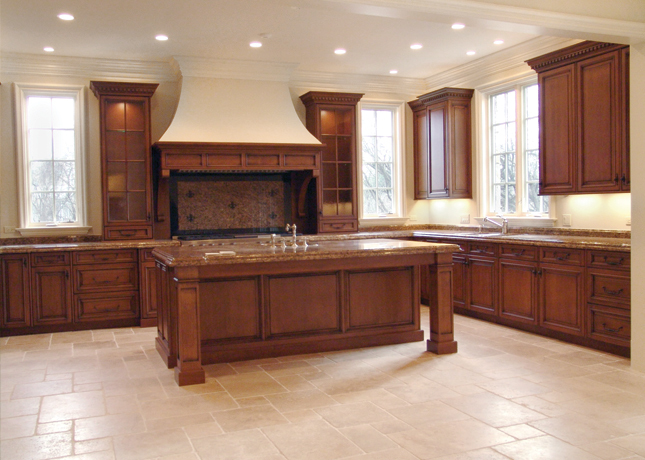 The kitchen features double thickness stone slabs. 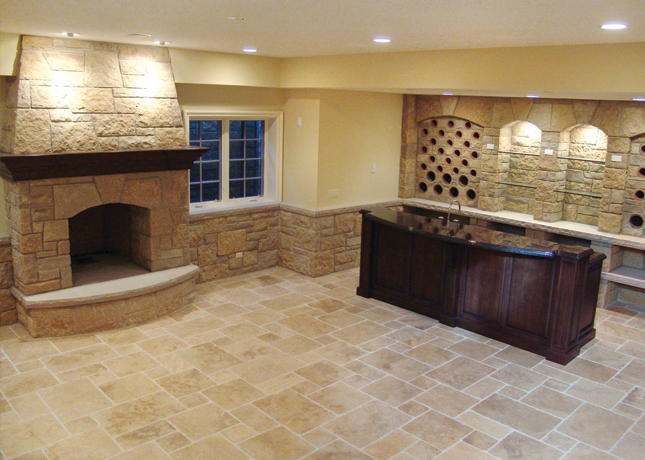 The kitchen and family room feature Versaille-pattern turkish limestone flooring. 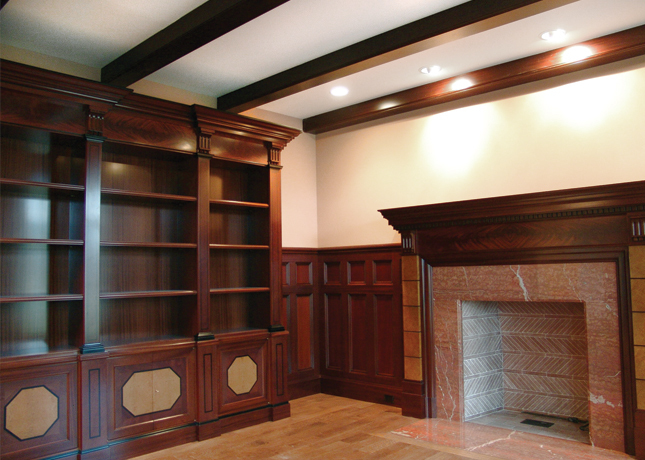 This home includes a library with millwork imported from France and installed by French artisans. 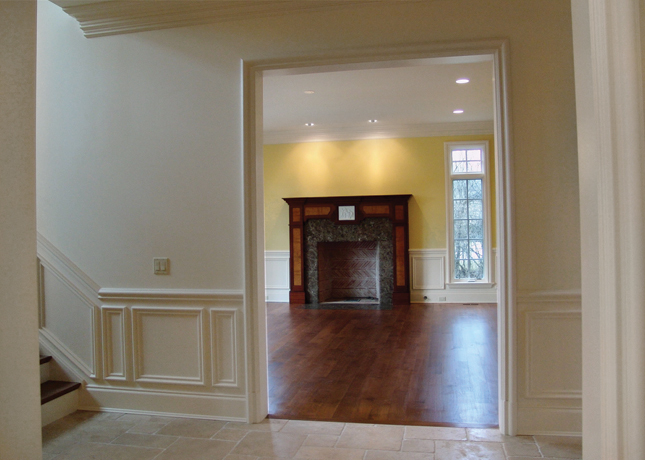 Wainscotting is installed throughout the home. 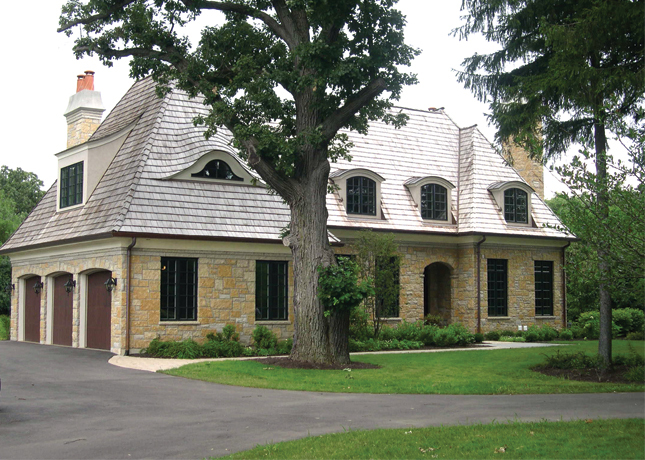 The lower level of this fine home continues the Versaille-patterned limestone floors and has a stone fireplace and matching stone wainscotting around the perimeter. 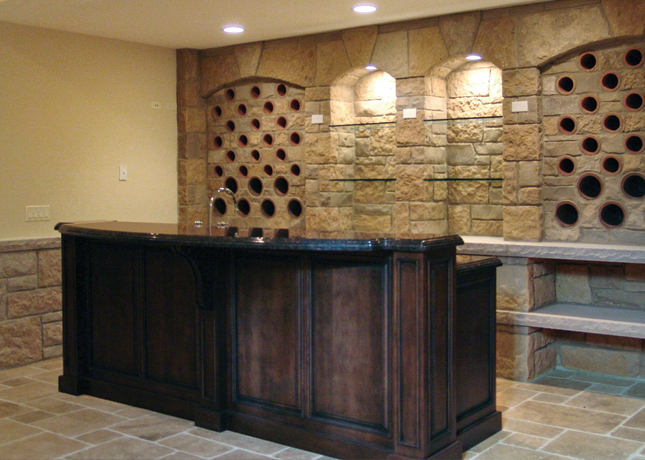 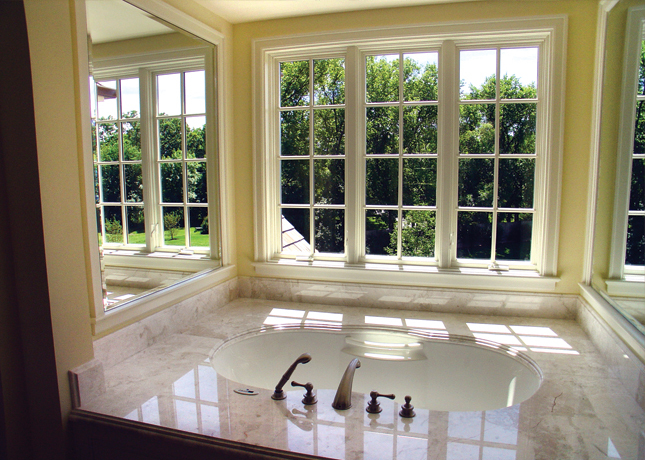 The lower level also includes a custom built bar and wine storage backbar made of matching stone.